I purchased the GHD Gold styler to replace my GHD classic that lasted me 8 years, which is incredible in itself, and I continue to be impressed by this brand! The gold styler was just an update from my older one, but it is quite different in how it feels. It glides over my hair much more smoothly, it takes such a short time to heat up and I like that it turns itself off as a safety measure! 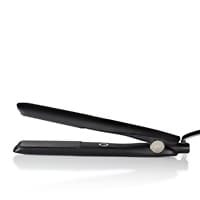 A few people have borrowed it and have also purchased the styler after using mine, so that shows ... read more that it's a pretty fantastic model, and for the price it's a high return on investment.